What are the benefits of Financial Peace Military? 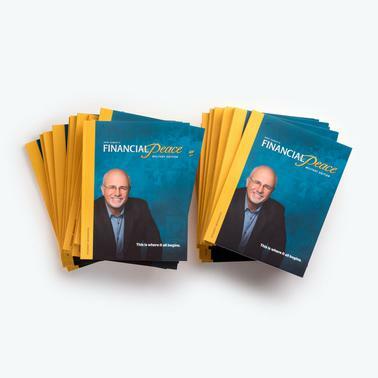 Learn financial responsibility using Dave Ramsey's Baby Steps. Eliminate debt using the debt snowball method. Attend any class in the future as many times as you would like and take advantage of continuing accountability and support. Learn how to spend every dollar on paper with the zero-based budget planner. Beat debt or build wealth by establishing a plan to take control of your finances. Your week-by-week guidebook during the course. Includes helpful tips, questions, and a complete set of monthly budgeting forms. Access to our free online toolkit with downloadable audio lessons, the EveryDollar budgeting tool, the Ask Dave forum and more!